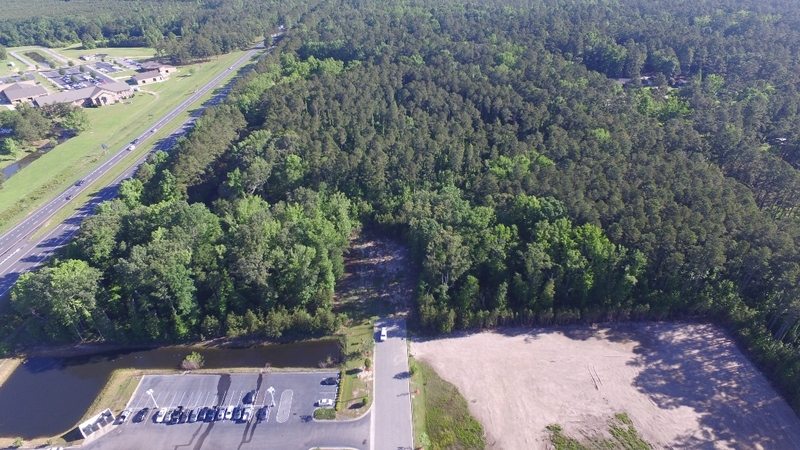 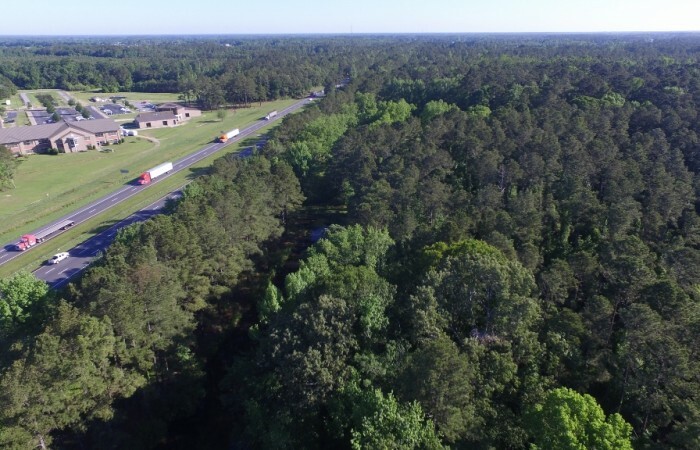 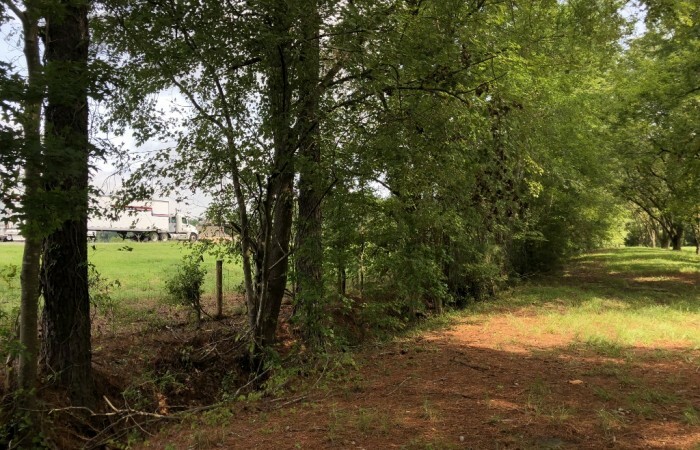 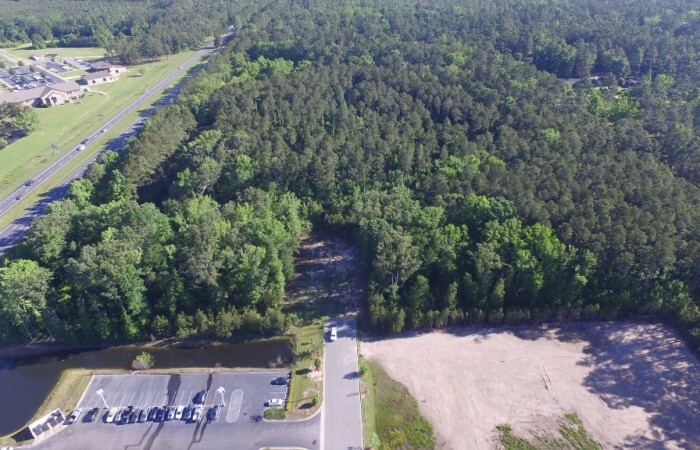 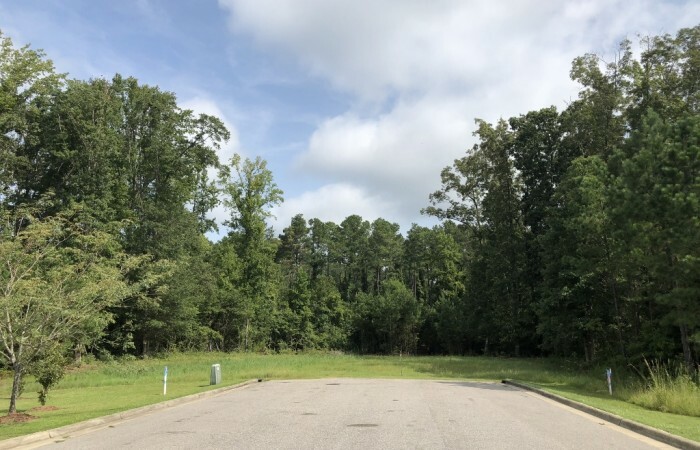 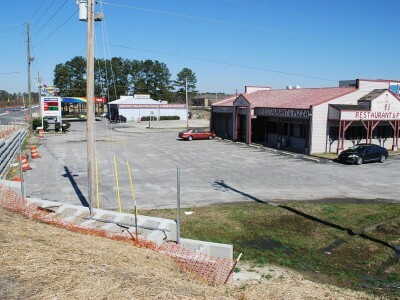 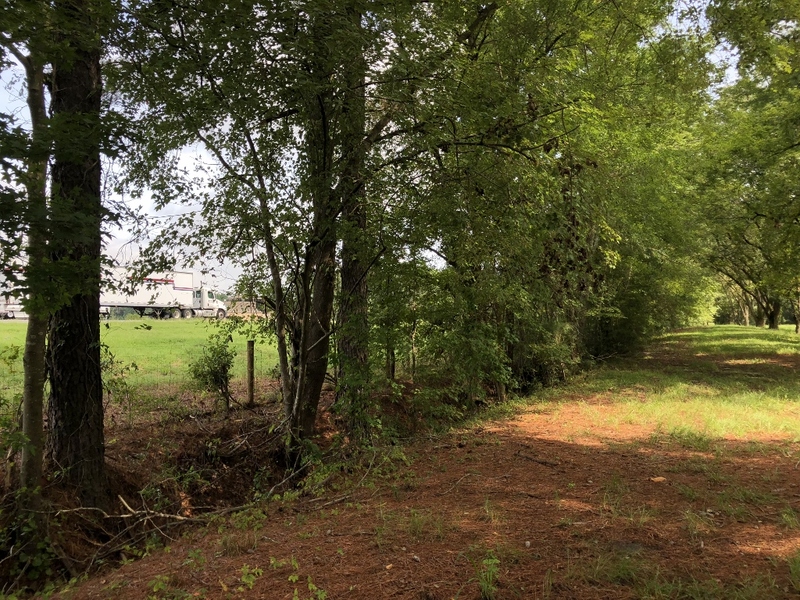 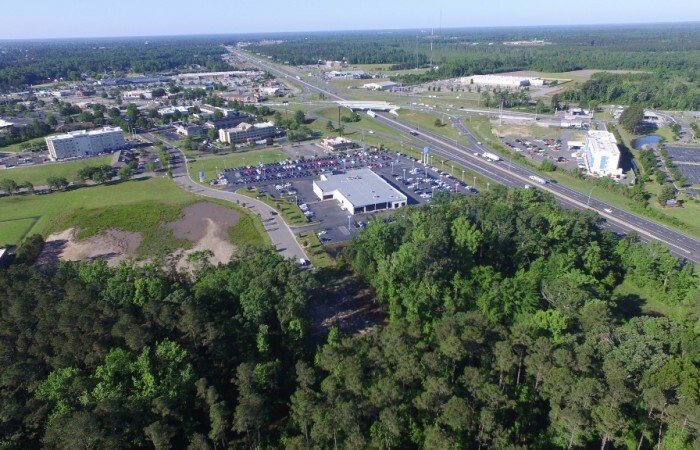 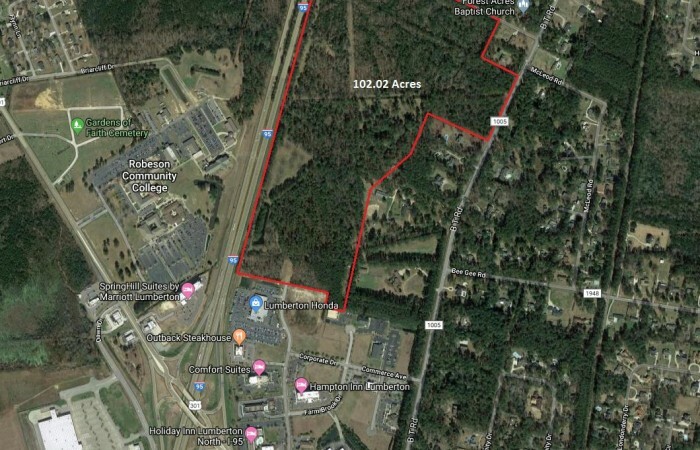 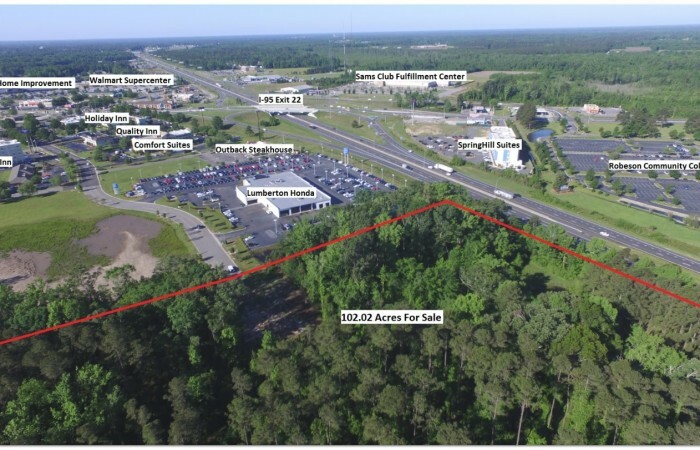 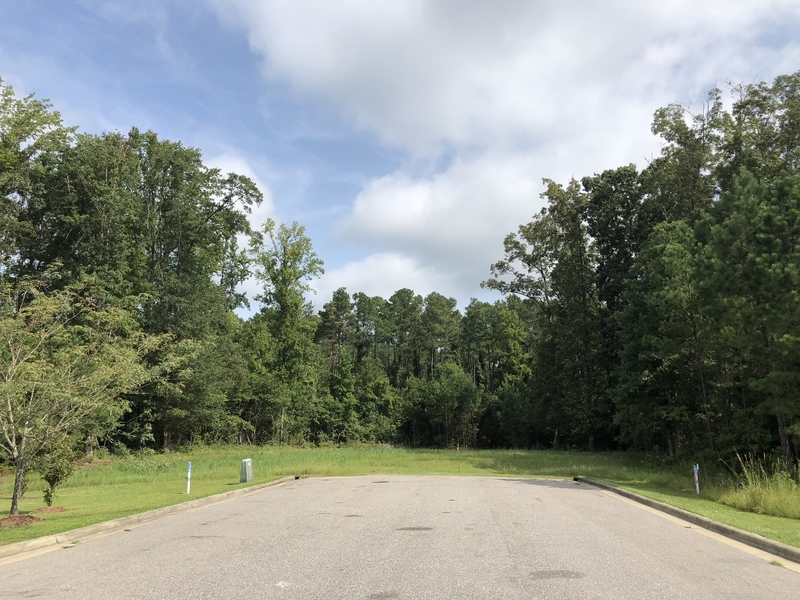 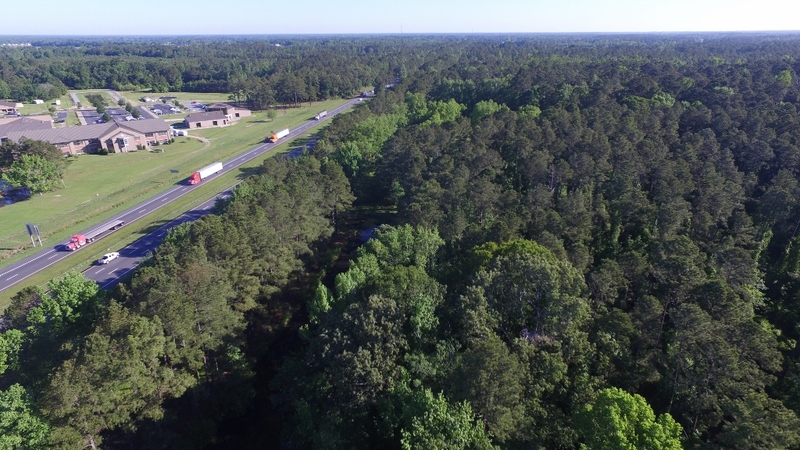 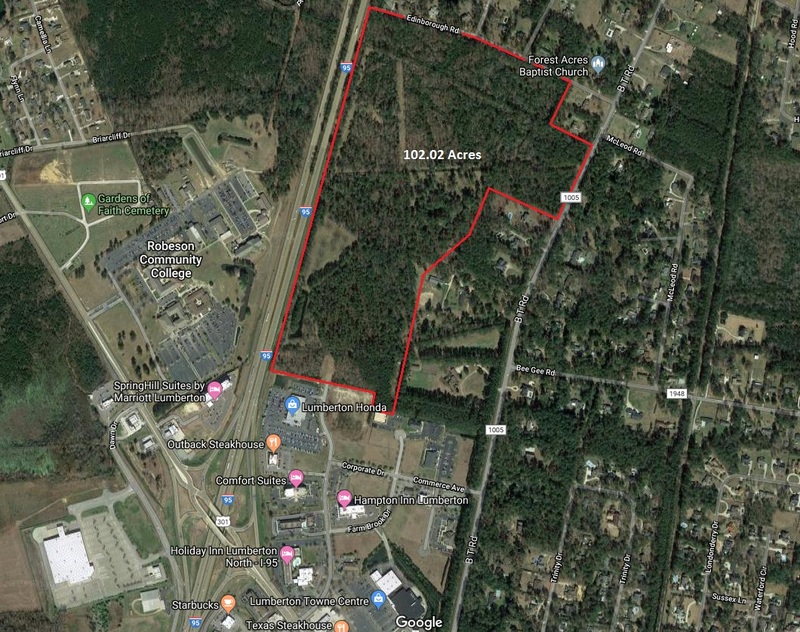 This 102.02-acre prime commercial property is available for the first time in 70 years and is located at one of the best I-95 locations in the two Carolinas. 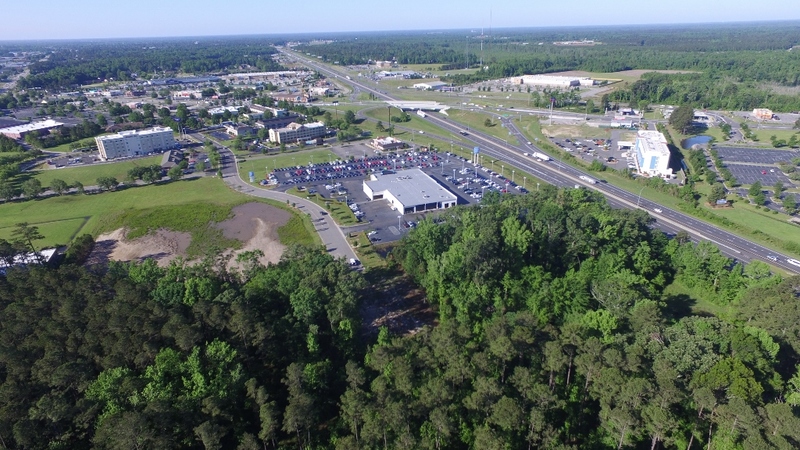 Exit 22 is the premier exit off I-95 in North Carolina with shopping, hotels, restaurants, medical facilities, car dealerships and Robeson Community College. 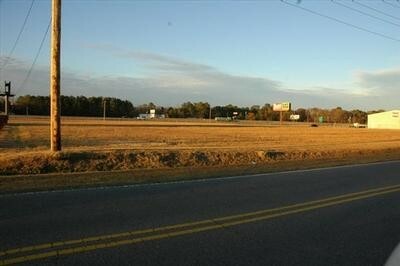 With 56,000 cars passing the property daily this property provides great visibility to prospective buyers. 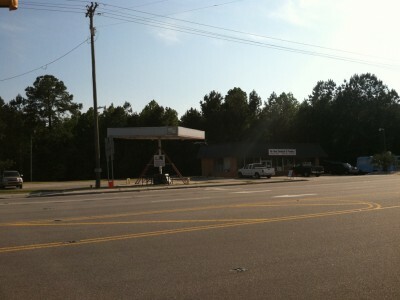 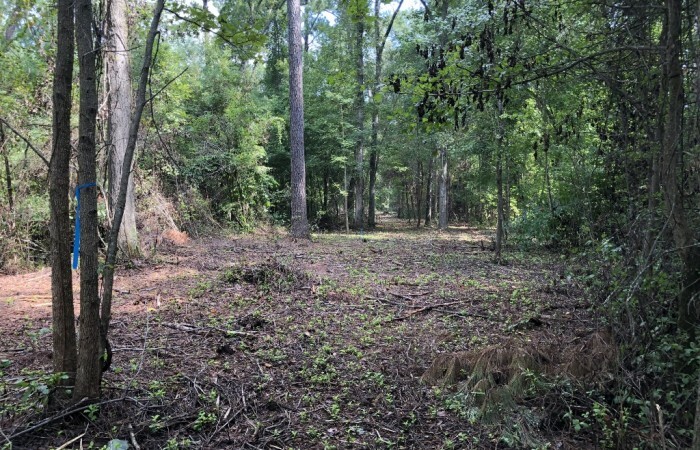 The property has sewer, gas, water and electric available and is partially inside the city limits of Lumberton. 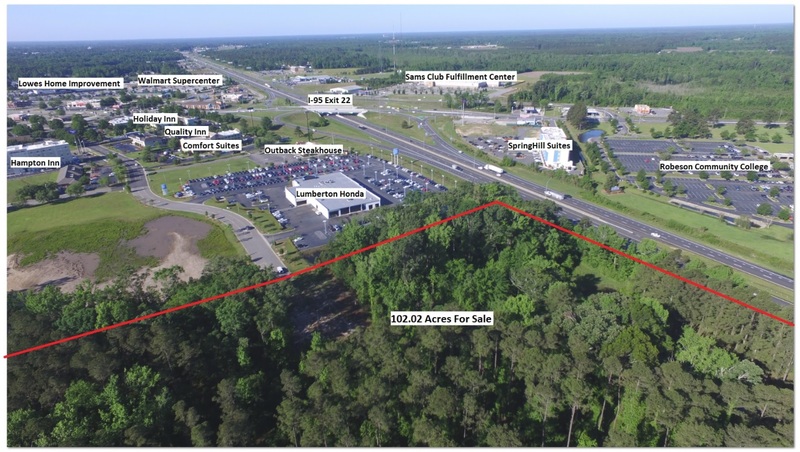 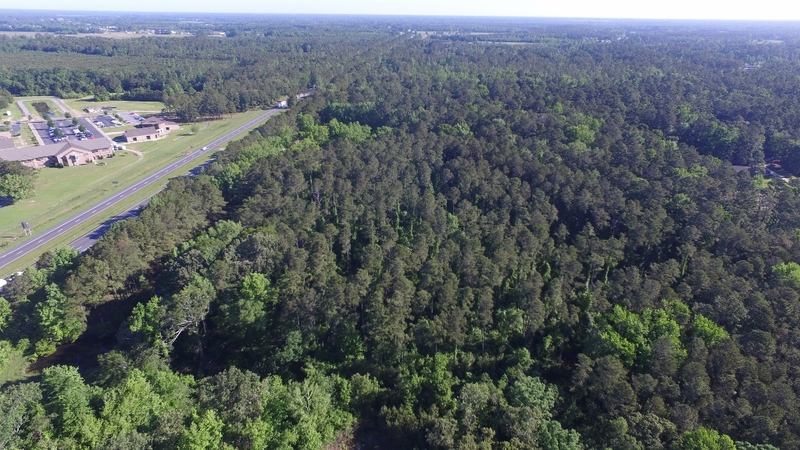 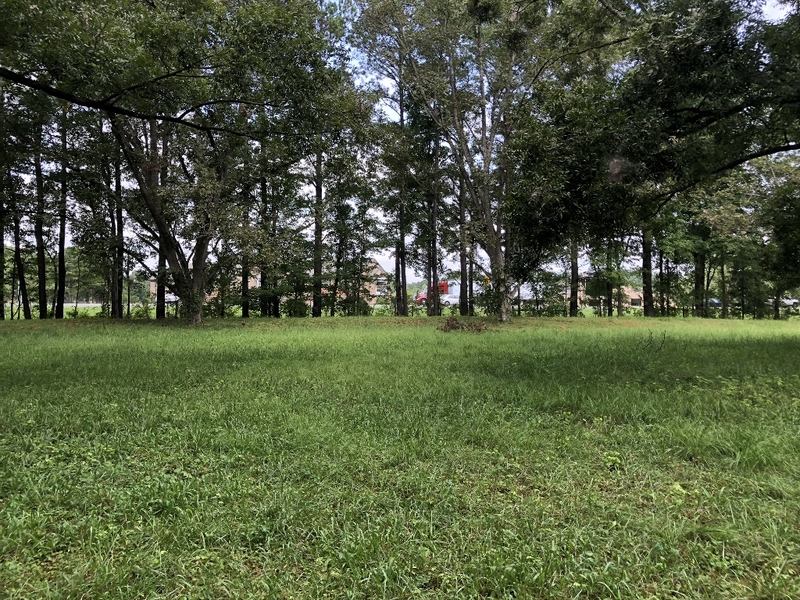 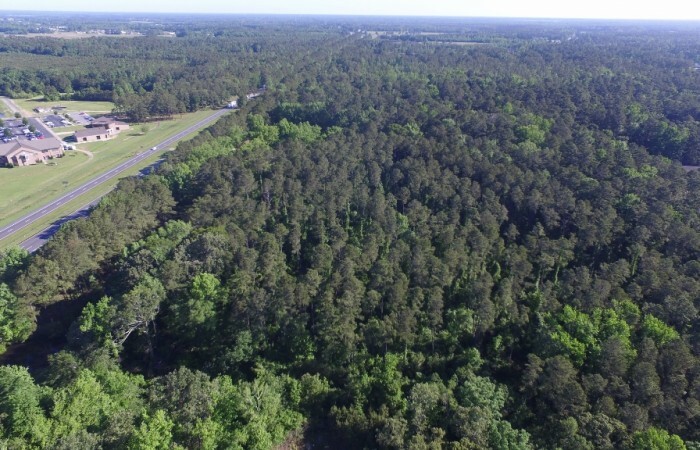 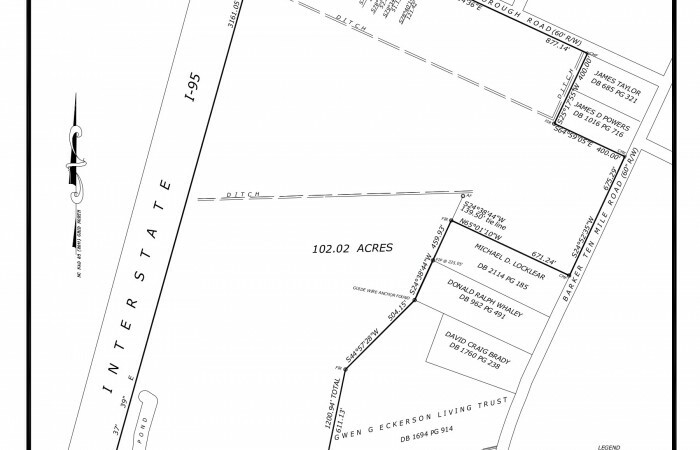 There is a recent survey that was completed on the property with 3,161 ft. of frontage on I-95, 1,794.35 ft. on Edinborough Rd., 675.29 ft. on Barker Ten Mile Rd. 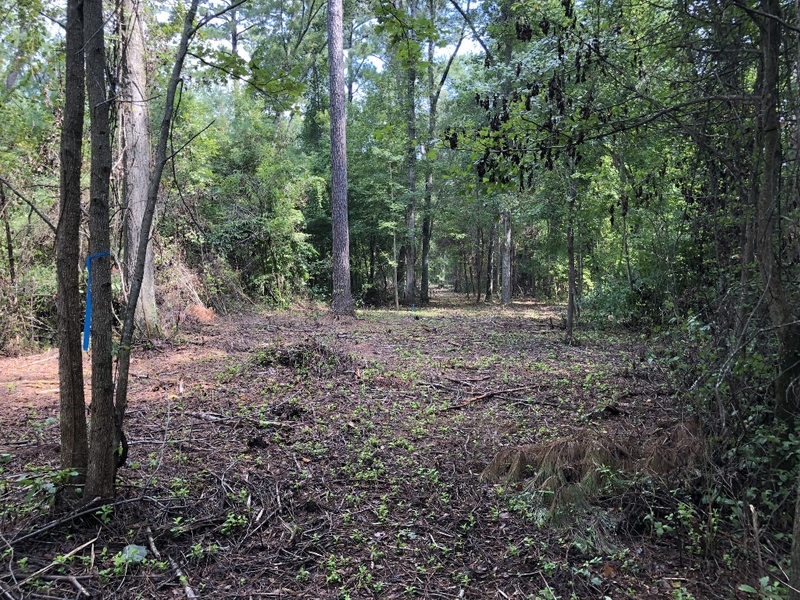 and located at the end of Wintergreen Dr. A complete wetland delineation was also recently completed and signed off on by the U.S. Army Corps of Engineers with 98% of the property having uplands. 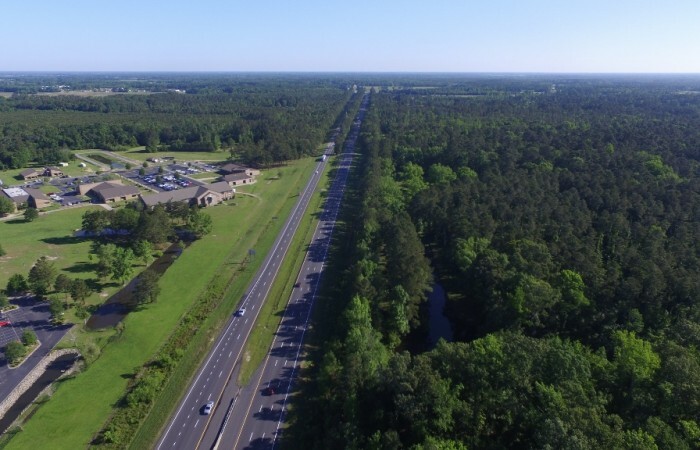 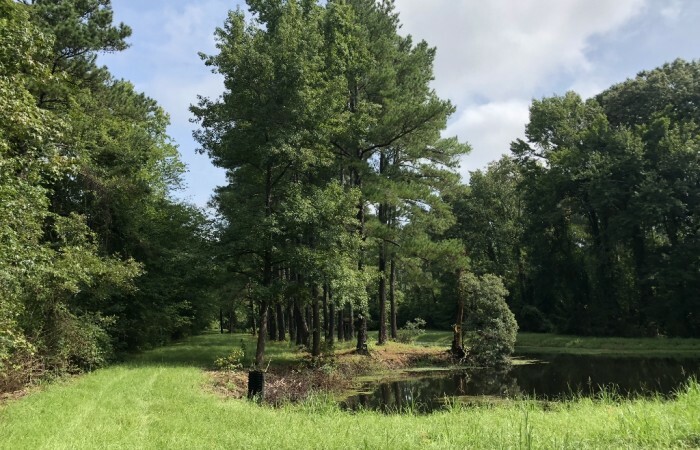 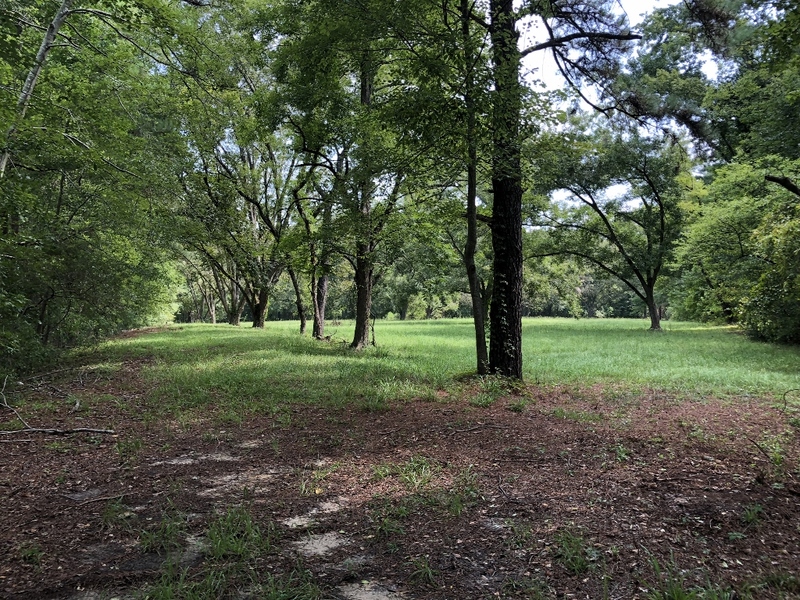 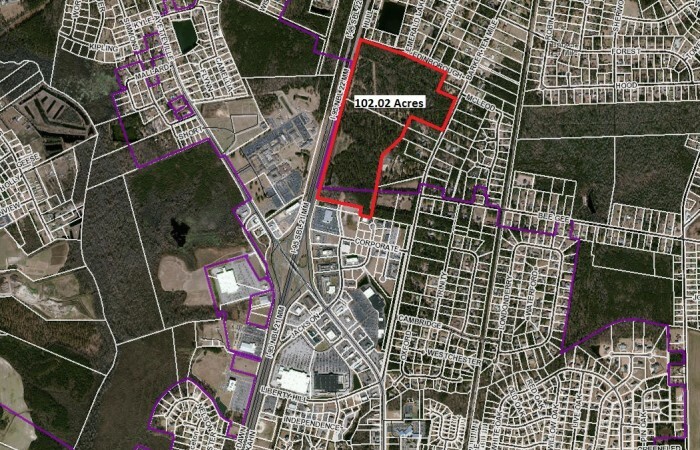 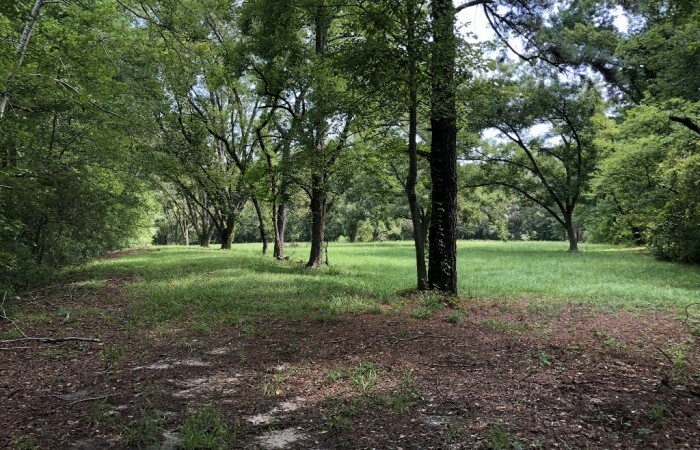 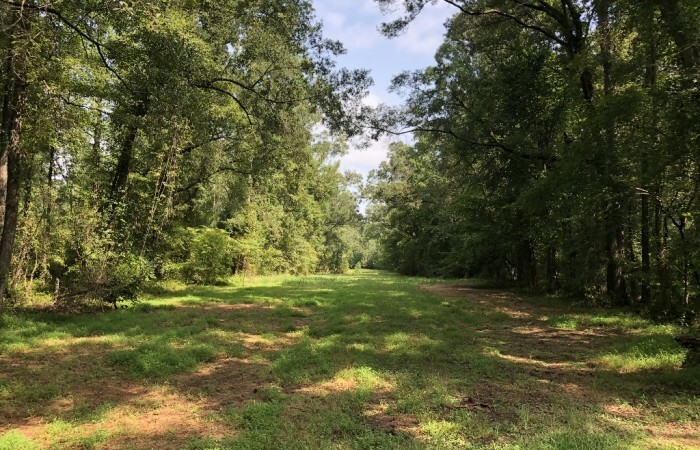 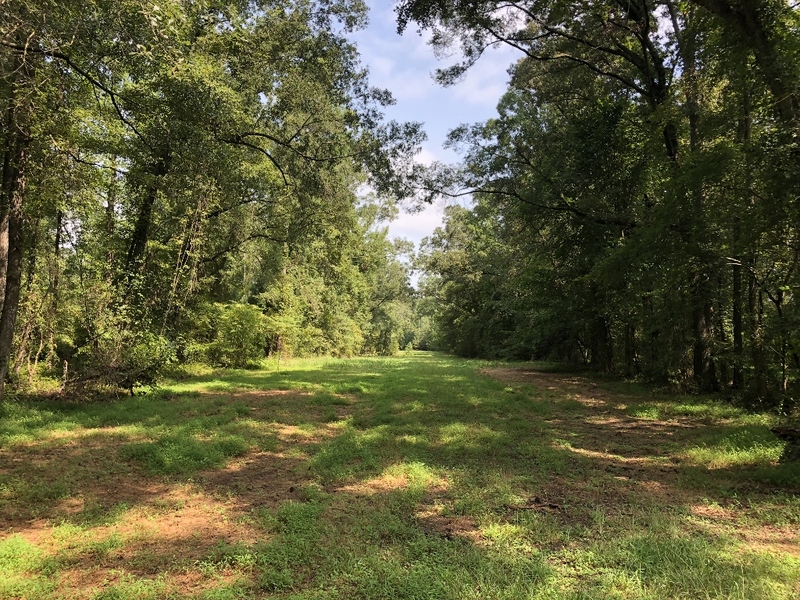 This property is the last of its size on I-95 in Lumberton which boasts such uplands and was not flooded by Hurricanes Matthew or Florence. 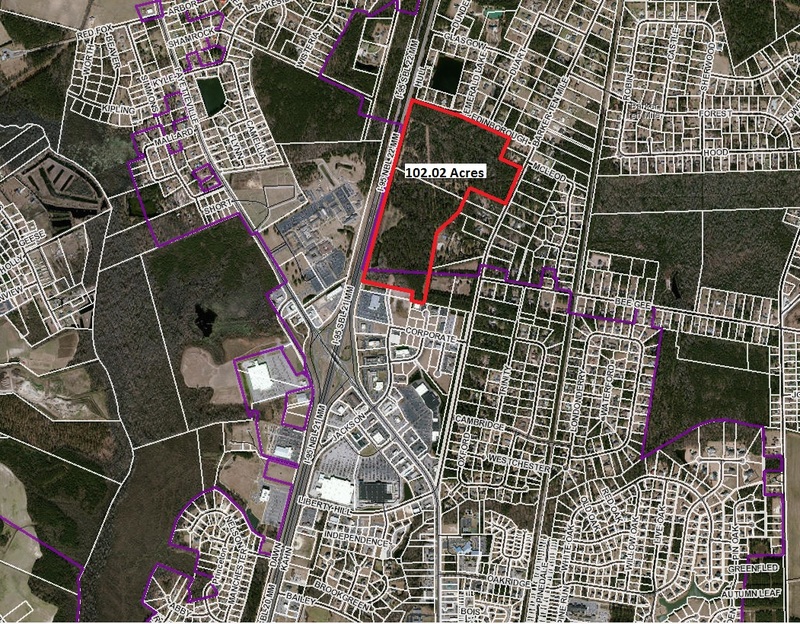 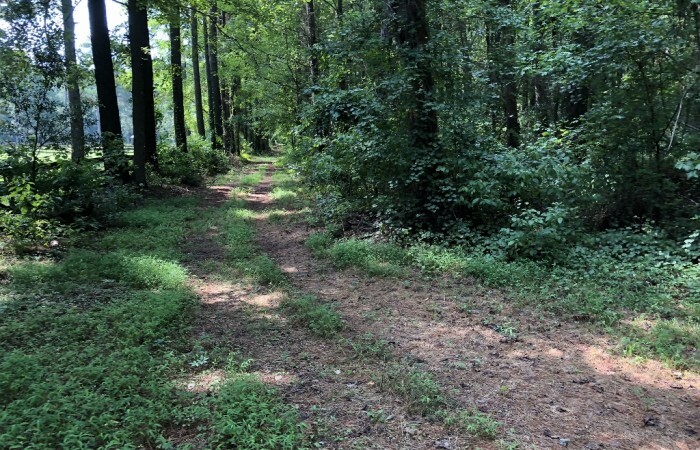 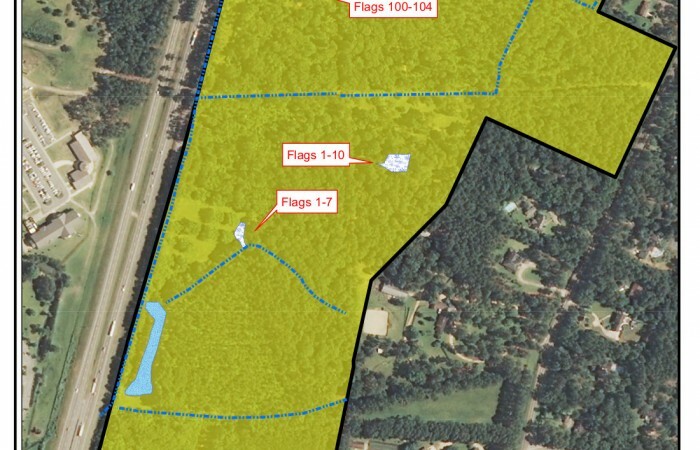 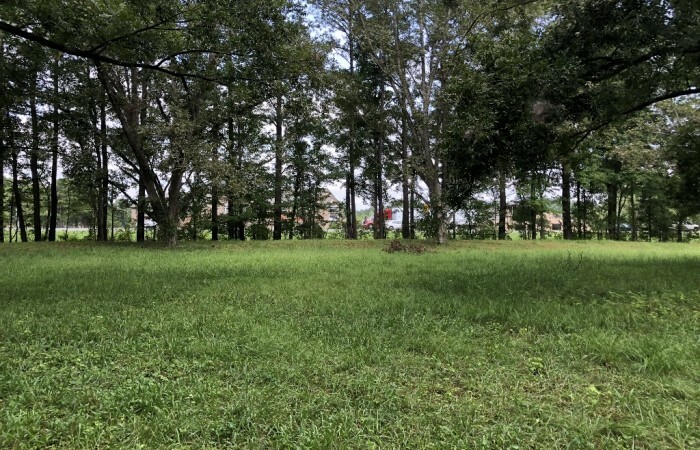 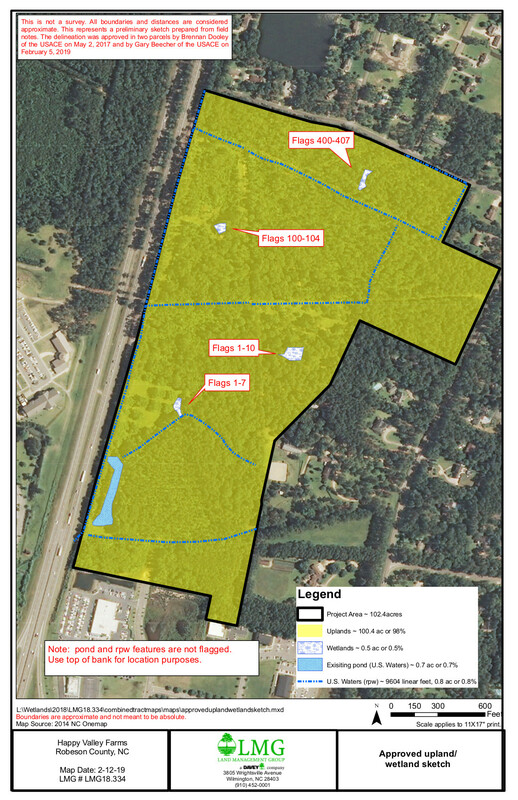 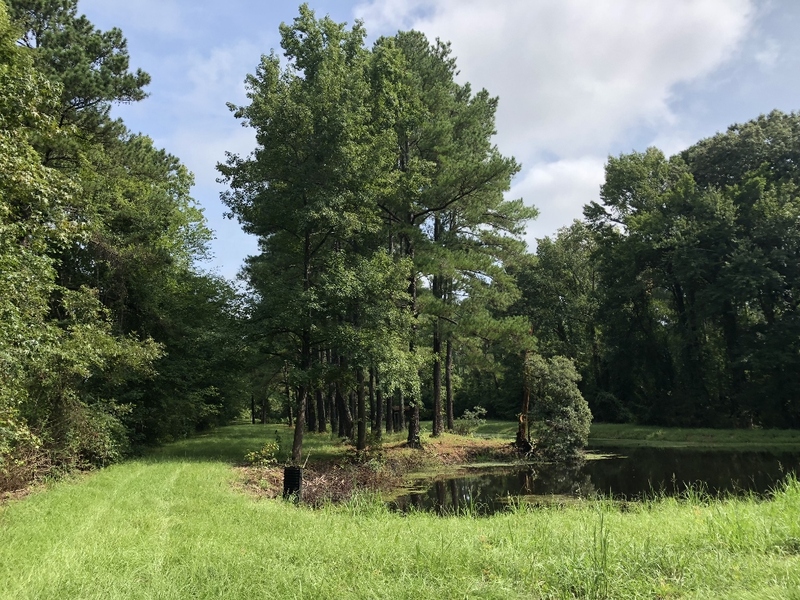 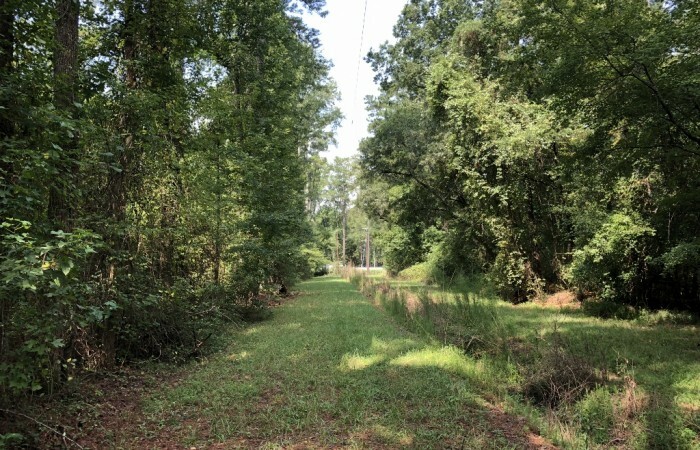 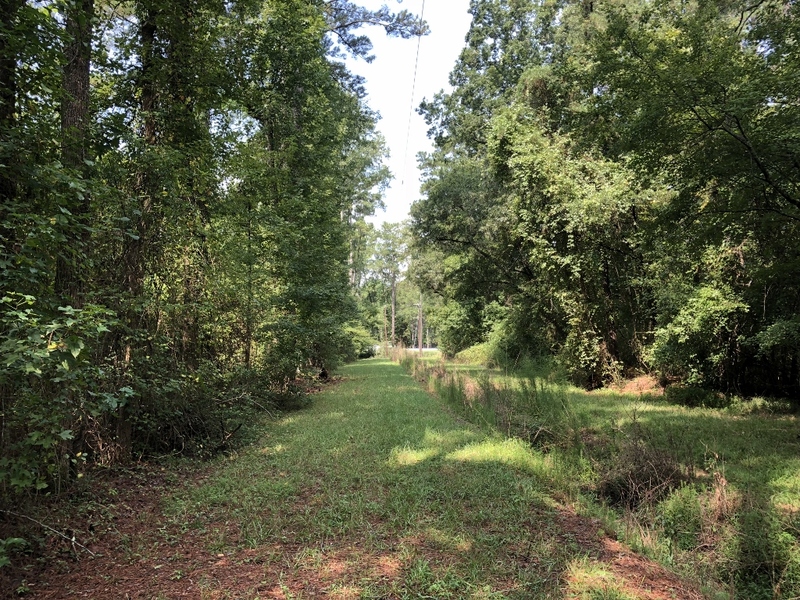 The owners have opened up what would be the extension of Wintergreen Dr. for approximately 1,900 feet so potential buyers can easily see the topography and lay of the land. 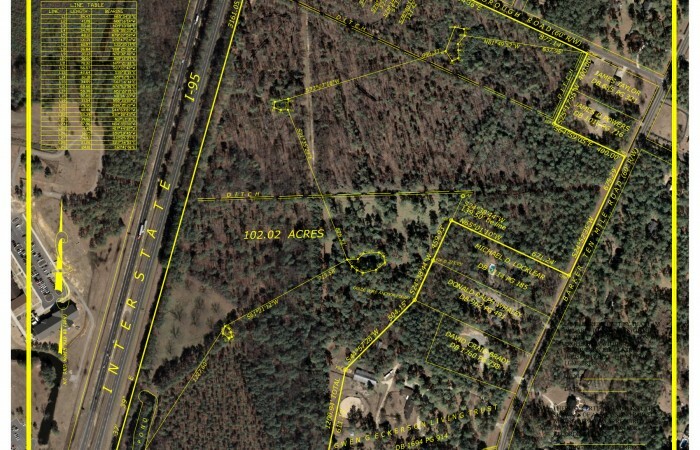 There is also an extensive road system throughout the property which allows for easy viewing to prospective buyers. 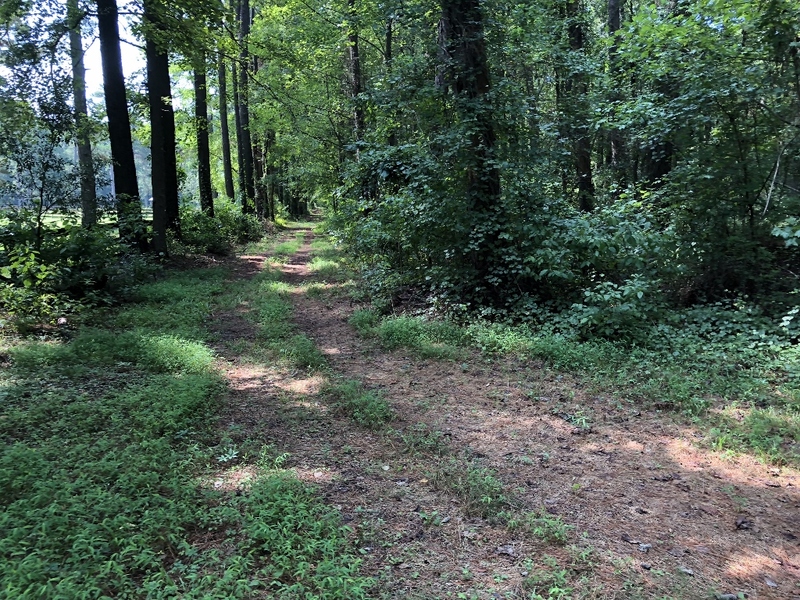 The property has a lot of mature pine and hardwood timber and a timber cruise was also recently performed on the property and is available to prospective buyers. 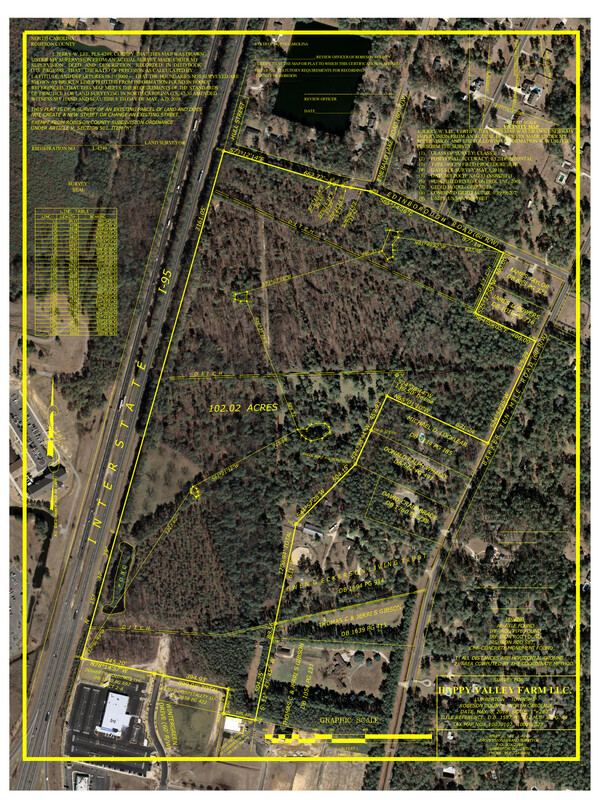 The tract is being offered in its entirety or in smaller outparcels which have already been surveyed. 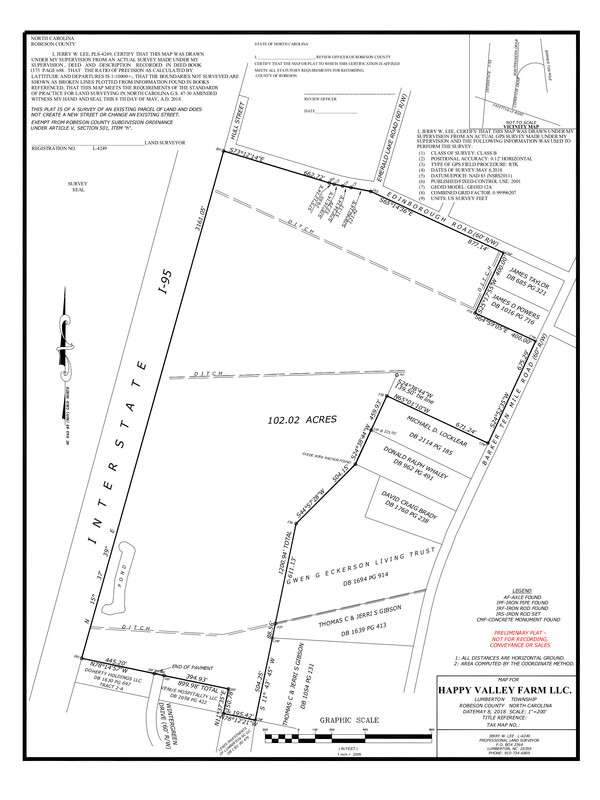 Please contact us for more details and a showing of the property. 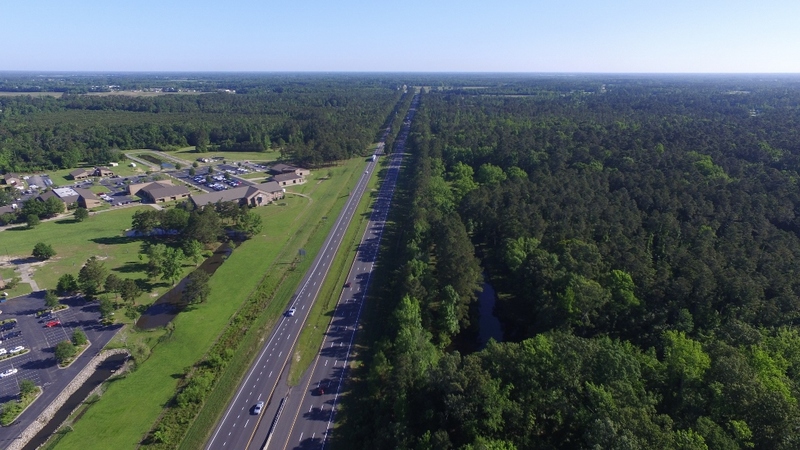 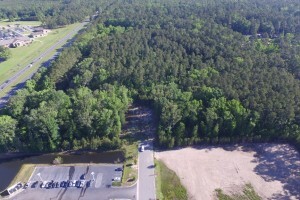 Directions: Adjacent to I-95 in Lumberton, NC; 0.5 miles off of exit 22 along end of Wintergreen Drive; also borders on Barker Ten Mile Road and Edinborough Road.